The Grecian and Hellenic civilizations developed a society that combined mythology with reason and politics. Their ethics were based on these new ideas of citizenship and the rule of the people. They believed all 'citizens' had the right to contribute to civic life and polity. To support these ideas, the Greeks created new forms in architecture and urban planning. 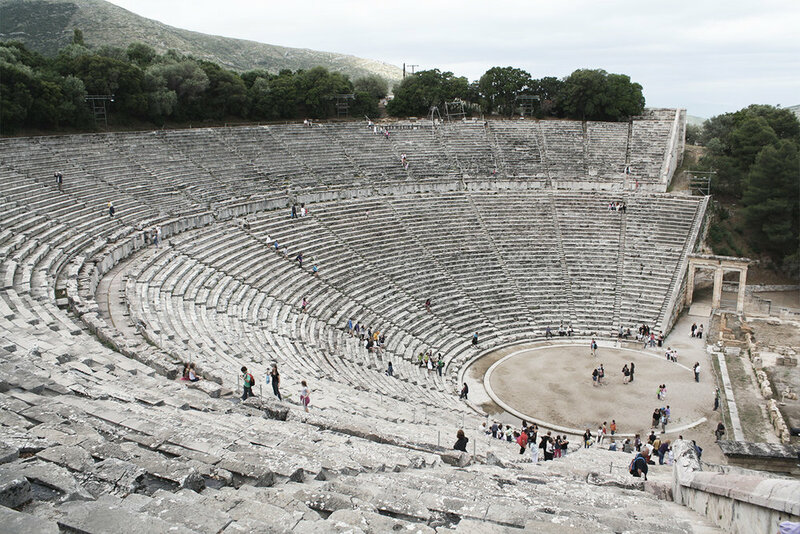 The idea of public space is rooted in Grecian planning. The Agora, was a large public open area usually located in the center of town. Surrounding this large area were long shed-like colonnaded public buildings called Stoas. This organization of building and space for public use is the predecessor to the marketplaces and plazas seen in many cultures today. 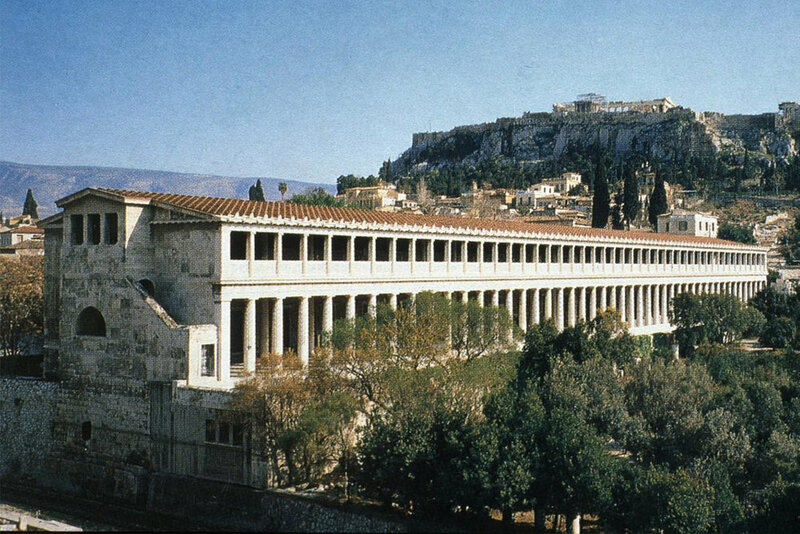 The Agora was essential to Greek life because it supported the free exchange of ideas, commerce, and information - a key Greecian trait of free, democratic and republican societies. 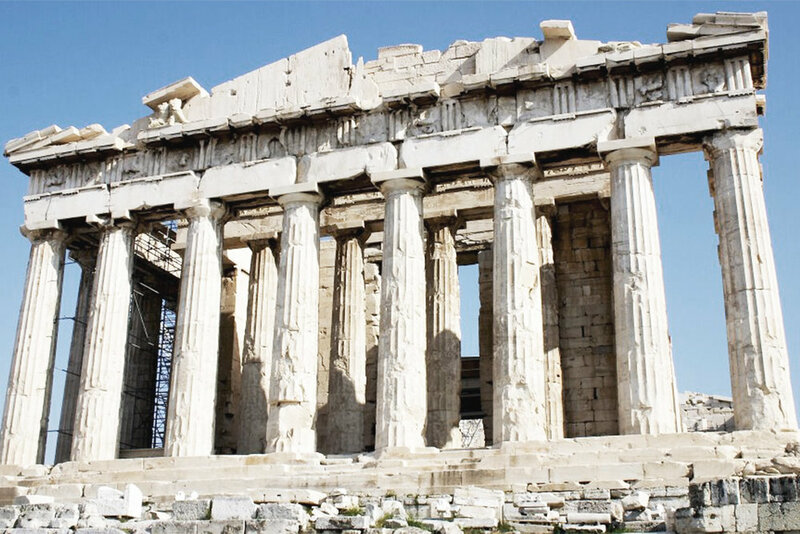 In addition to laying the foundation for modern urban planning, the Greeks also developed what we classify as Classical Architecture. These ideals were displayed mostly in temples. The Romans adopted and advanced Greek principles of government, mythology, and architecture. But as Rome morphed into an empire, Roman ideals identified more with power and conquering than republican governance and religious traditions. The Roman Empire was known for its great conquests and at its height was the largest empire the world had ever known. These conquests were possible because of Rome’s vast army and unprecedented engineering ability. Romans refined many Greek inventions: the Greek hillside Amphitheatre became the Roman Colosseum; The Greek Agora became the Roman Forum; The Stoa became the Basilica. Temples were positioned more symmetrical in relation to the spaces adjacent to them. The Romans incorporated these essential components into a military colonization and community model called the Castrum. Each time a territory was conquered, Romans would found a colony using the Castrum urban design model. These Castrums were the foundations for some of the world's greatest cities: Barcelona, London, Como, Florence, Madrid, etc. Today, Roman Castrums are the basis for good urban design and neighborhood making because there dimensions allow for daily needs to be reached within a ½ mile walking distance from the center (a ten minute walk). In addition to urban planning, Romans contributed to architecture immensely. 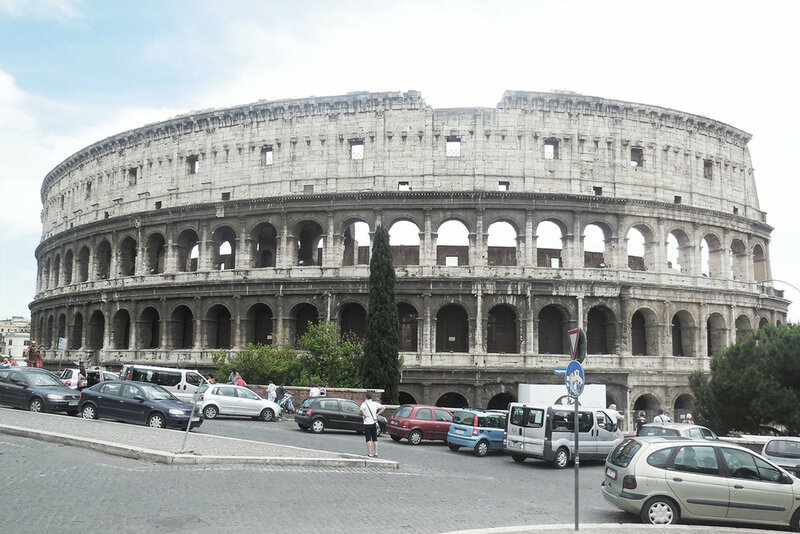 Romans invented modern concrete, a building technology at the core of their engineering power. They also perfected the arch, an invention of ancient Mesopotamia. The arched allowed the Romans to create such forms as the barrel vault and the self-supporting dome. These new architectural ideas were structurally more efficient because they could carry large loads using less material. Arches, domes and vaults are everywhere Roman Architecture. 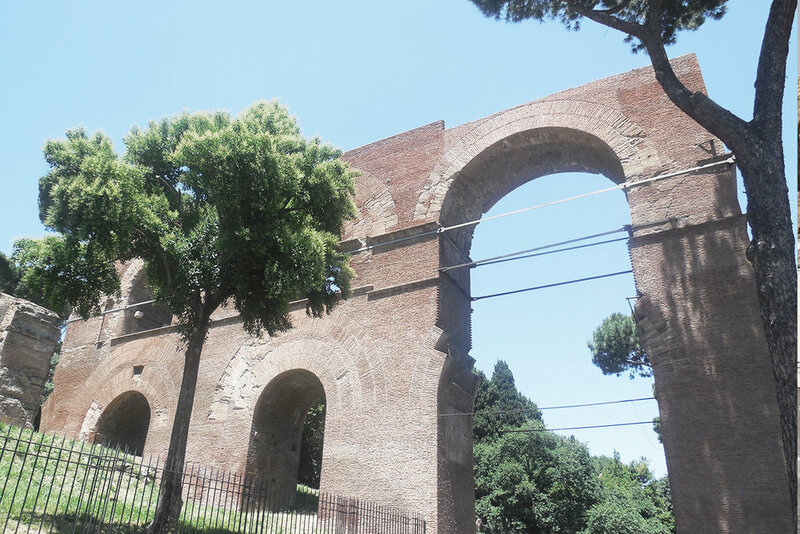 Arches can be seen most notably in Aqueducts - bridges that carried water from hilltop areas to public baths, wells, drinking fountains in cities as well as flushing sewer systems. 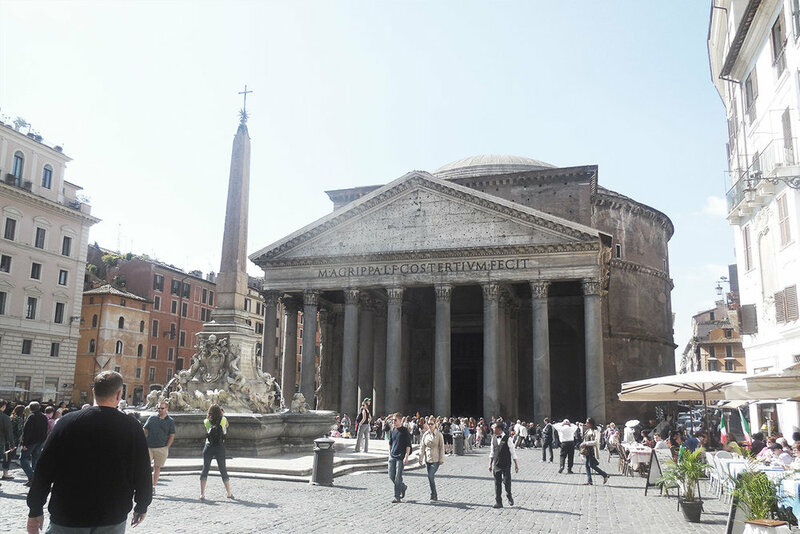 One of the most famous domed buildings in the world, the Pantheon, is a proud achievement of Roman architectural technology. Today, it is still the world's largest unreinforced concrete dome and has been used as the paradigm for hundreds of subsequent buildings. The world had not seen structures such as the ones built by the Romans. Their engineering might struck fear into their adversaries and intimidated their enemies. Their architecture was an imposing physical force representative of a conquering culture rather than one of mythology and religion. Our Architectural Design Services are a collection of professional services that create completely customized design solutions for homes, investment properties, and light-commercial building products. We will transform your ideas, desires, needs, and preferences from words & feelings , to drawings, then to documents, and finally to a building asset for you and your neighborhood.